This marketing case study details how DPR&Co helped Ambulance Victoria engaged new and existing members. This article originally appeared in The Content Issue, our August/September issue of Marketing magazine. 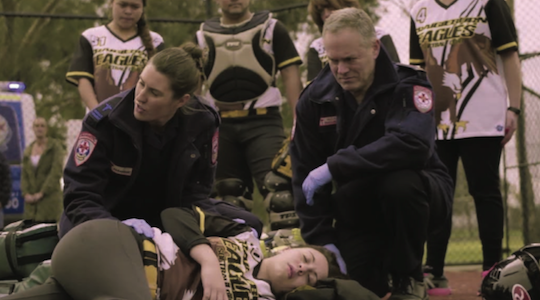 This is the story of a five-year partnership of success between one of the world’s leading ambulance services and one of Australia’s fastest growing creative agencies. It demonstrates what can happen when a client and agency operate in an environment of trust and a deeply shared commitment to common objectives. Victoria’s ambulance service operates on a user-pays basis. So, unless the cost of the call-out is covered under the Transport Accident Commission, concession benefits or other insurance, the patient may well receive a substantial bill for attendance (sometimes over $10,000 if an air ambulance is required). 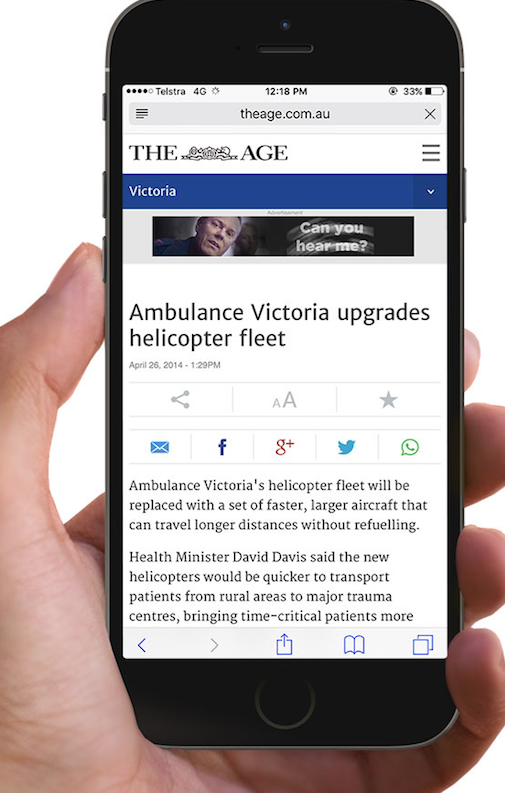 Ambulance Victoria Membership is a form of low-cost insurance. It covers Victorians for all clinically necessary ambulance services anywhere in Australia. The Membership Scheme is also a vital contributor to Ambulance Victoria revenues with membership – related income accounting for around 20% of Ambulance Victoria’s operating budget. Prior to DPR&Co’s appointment, the scheme comprised 972,000 family and individual memberships covering approximately 2.1 million individuals, but was in decline at a rate of up to 3000 net memberships per month. Previous campaign activity had been launched in 2009/10 with significant investment, but had failed to achieve a positive return on investment. DPR&Co was appointed to the account in mid-2011. Following its appointment, the DPR&Co team immediately began a detailed review in partnership with the Ambulance Victoria Membership team that formed the foundations of the scheme revitalisation. Detailed analysis of membership data showed that a significant factor in declining new member acquisition was private health insurers offering similar (but often qualified) cover as options within their plans. Addressing this competition was an urgent priority. In addition, non-renewal rates were a significant problem most evident among new and younger members where research showed that the main reasons for ‘resignation’ were a perceived loss of product relevance to those not touched by the service. This was exacerbated by simple renewal inertia – people thinking ‘I must do that’ then never doing it. So, the immediate challenge was to stem or reverse the contraction in membership numbers by both increasing new member acquisition and stemming attrition. on-budget net member acquisition of 15,000 for year one. Campaign ‘nice-to-haves’ included a reduction in the average age of membership (younger members being harder to recruit, but less expensive to service) and an increase in average member lifespan. As the previous year had seen a net loss of in excess of 10,000 memberships, the Membership team set acquisition and retention targets that would result in a 15,000 net gain for year one. This seemed a challenging task and focused the team on the need to get a call to action. Before we could get through the conceptual, approval and production processes, there were urgent steps taken to stem the high levels of churn. adoption of SMS/email technologies for renewal notifications. The effect of these measures was immediately positive with both decreased resignation rates and more successful win-back activities. In addition, 400,000 members were transitioned to online contact channels. While this was being achieved, a number of strategic imperatives were established for member acquisition communications. Simply put, we didn’t need to sell ‘ambulance’. We needed to sell financial peace of mind (insurance). reorientating advertising toward a direct response mode of communications. a mum whose son suffered a case of anaphylaxis and whose claim had been denied by a private health-insurer, resulting in a cost of $1000. This creative platform evolved over the ensuing three years and continued at levels never before seen in the 80-year history of the scheme. We tracked advertising response rates to look for any incipient decay in performance due to audience fatigue – a process that led us to begin the creation of a new generation of creative in 2015, one that is still aligned to our ‘insurance-based’ strategy, but that also leveraged Ambulance Victoria paramedics’ position as the state’s most trusted emergency service professionals. 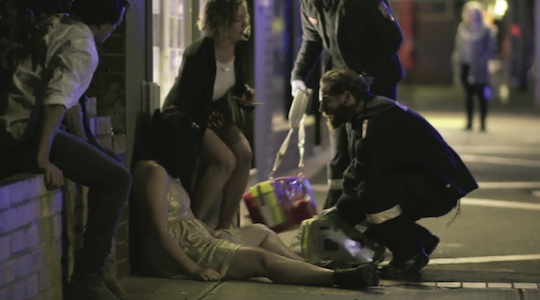 The new campaign juxtaposes the vital questions ambulance paramedics ask of patients (in the course of saving their lives) with the important question of whether or not they have Ambulance Victoria membership. Importantly, the communication remains centred on the value of membership as an insurance product. Careful measurement of cost-to- acquire for new members sees an ongoing recalibration of the media mix. Originally deployed on TV, press and (to a lesser degree) online media, the emphasis has partly shifted to digital over time. Another feature of the campaign is the importance and success of remarketing. Remarketing programs were therefore instigated tailoring the core creative of the campaign to urge potential members into action now. The following table shows the net movement in membership from 2010 to 2015 and the progressive net member gains in 2015/6. It also shows the applicable cost of new member acquisition for each period. 2011/12 saw an immediate and pronounced spike in membership. 2011/12 saw strong competitive marketing activity from private health funds. 2014/15 saw an increase in media spend and a corresponding lift in acquisition. Expressed as the net revenue value of members gained since 2011/12 over the average member lifespan of 11.4 years, the value to Ambulance Victoria of the campaign activity is $133 million and an ROI percentage of 1800%.